It’s finally seafood season! 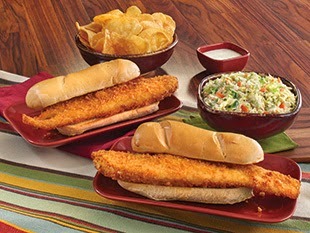 Check out our new “fintastic” menu items, sure to lure you in with their delicious flavors! 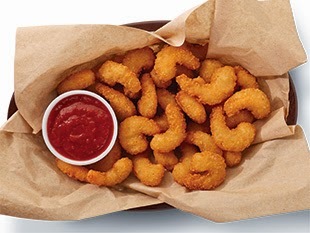 Our new bite-sized crunchy fried shrimp are the perfect way to start your meal. Don’t forget to share them with your friends! Served with cocktail sauce for $6.99. Salads always taste better with a little bit of protein! 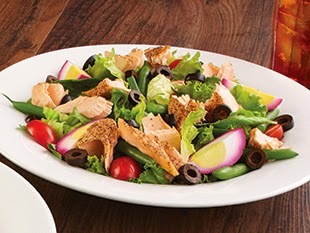 We start this supreme salad with a bed of mixed greens and spinach and top it off with chilled roasted salmon, green beans, grape tomatoes, pickled eggs, and black olives. Served with white balsamic vinaigrette and seasonal bread for $9.99. Next up is our Lemon Salmon Pasta. 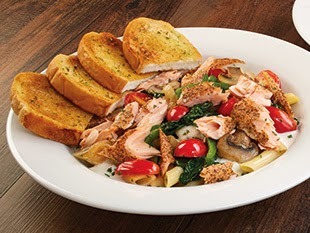 This ingredient loaded dish includes oven-baked salmon tossed with fresh spinach, tomatoes, grilled peppers, mushrooms, and onions, all served over penne pasta with our housemade lemon and caper cream sauce. Served with a garden side salad and garlic toast for $10.99. The perfect pairing of two lunch legends! 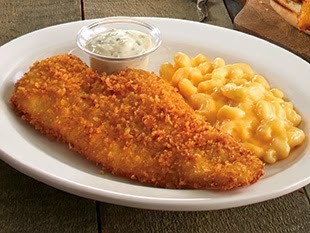 Enjoy our enormous hand-breaded Whale of a Cod filet with a heaping helping of cheesy macaroni. Served only during lunch hours (from 11AM – 4PM) for $8.99. Always on the go? We’ve got you covered with our Fish Fry To Go! Only available for takeout, this delicious deal includes two Whale of a Cod Fish Sandwiches, your choice of a pint of soup or coleslaw, and a pile of chips to share! All for just $19.99! Hope to sea you soon!